Do you remember your first record? My first records was a present from my parents in 1968 together with my first record player. They were 2 singles which were in the pop charts at that time. Yes I remember exactly. It was ‘Congratulation’ from Cliff Richard which was at that moment second on the Eurovision Song Contest in London, UK. The other single I got was from Johan Stolz – ‘Concerto voor Natasha’ which was a popular song in the hit charts from Flanders. What was it about music that made you start collecting records? Actually I started to collect music in the early seventies when I’ve bought my first LP’s from Deep Purple, Uriah Heep, Pink Floyd… I wanted to have everything from my favourite bands no matter if their albums were good or not. Just to possess everything by them. At that moment I also didn’t care if I possess a first pressing as I even hadn’t had any clue about what was the difference between an original pressing or a re-issue. During the years I’ve been influenced by many people which resulted finally in the end of the eighties, when I’ve became interested in owning and collecting especially first and rare pressings. That’s a very difficult question. Personally I rate many albums as very interesting items. The interesting ones are those which are musically exciting for my personal taste and from the other side also the most obscure ones. Some albums as Seconda Genesi – ‘Tutto Deve Finire’ and Fantasy – ‘Paint a picture.’ I never should have parted with as they’re musically my absolute top. 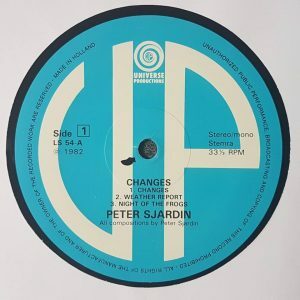 Another very obscure one is an album by Peter Sjardin – ‘Changes’. In fact it’s only a matter of personal taste. I also owned original pressings from Fraction – ‘Moonblood’, Grannie – ‘Grannie’ and several others in this level. Some music lovers/collectors should declare me crazy if I tell that I traded them away cause of minor interest from my side. Who have been some of your mentors in record collecting? Who have you learned the most from? I’ve got several mentors during my record collecting carreer. In 1970 was my first year in the secondary school and a local friend introduced me to the existence of bands as Deep Purple, Uriah Heep, Pink Floyd… He also showed me that there was kind of a library/mediatheque where you could lend records. 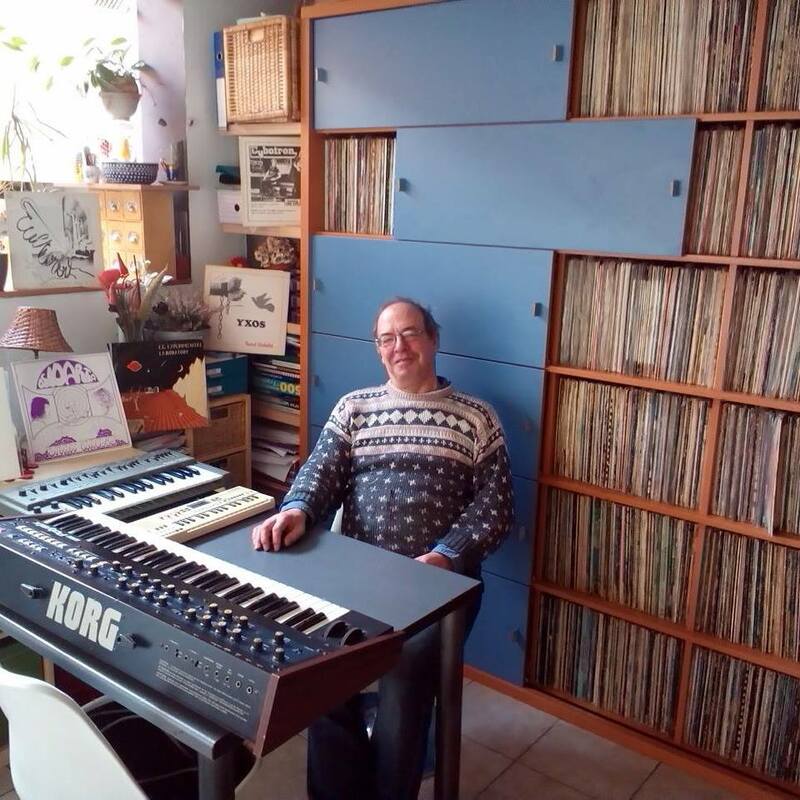 Actually in 1983 thanks to a Dutch magazine for electronic music lovers KLEM I have learned to know Dolf Mulder (creator of Popol Vuh website) which lifted me to a higher level of more obscure records. Thanks to him I learned about many new bands and artists from France such as Catharsis, Clearlight, Michel Haumont, Ptose, Etron Fou Le Loublan, Claude Perraudin and especially many Magma offshoots such as Zao, Jean-Philippe Goude, Patrick Gauthier, Eskaton, etc…Today we still upkeep an excellent contact. Finally the biggest progress I made was the second half from the eighties when I started to correspond with Francis Grosse from the French Muséa record label. I’ve got huge wanting lists from him with totally unknown records. Bands from my country Belgium of which I’ve never heard before such as Waterloo, Irish Coffee, Lagger Blues Machine, Laurelie,Vacation, Womega… He also sent me the list of bands from other countries he wants. A new world was going to open for me and I decided to discover all those bands.. Next what followed were endless and daily visits to many secondhand shops in Brussels where you could find relatively often those records. Finally also at that time I discovered by coincidence that there also exist the kind of record collecting dealers catalogues where you also could buy rare unknown albums. Since the late eighties I’ve got tons of catalogues and actually I’ve got a lot of musical wisdom to read all those small descriptions which were given to each record offered for sale. A lot of my knowledge is also based on descriptions given by dealers/collectors and today corrected by surfing on my personal computer. Yes, surely Magma – ‘Udu Wudu’. In 1975 I was reading an LP-description in the Dutch Oor music magazine and I was so fascinated I bought it that day. The music from Magma really exceeded my highest expectations. The impressive one-side track ‘De Futura’ created by the trio Vander/Top/Blasquiz designed my future in record collecting for many years. Biggest part in my collection is found far down the regular collector prices. A lot of my records I’ve found many years ago inside those many secondhand record shops from Brussels which are today completely dried out. The most memorable finds were Lagger Blues Machine of which I found 4 unplayed copies for around 1,5 euro each. Also I was lucky to find a box with incomplete inserts from Walter Wegmuller ‘Tarot’ for same price and Rockcelona from Spain for 0,5 euro. All first pressings of course. 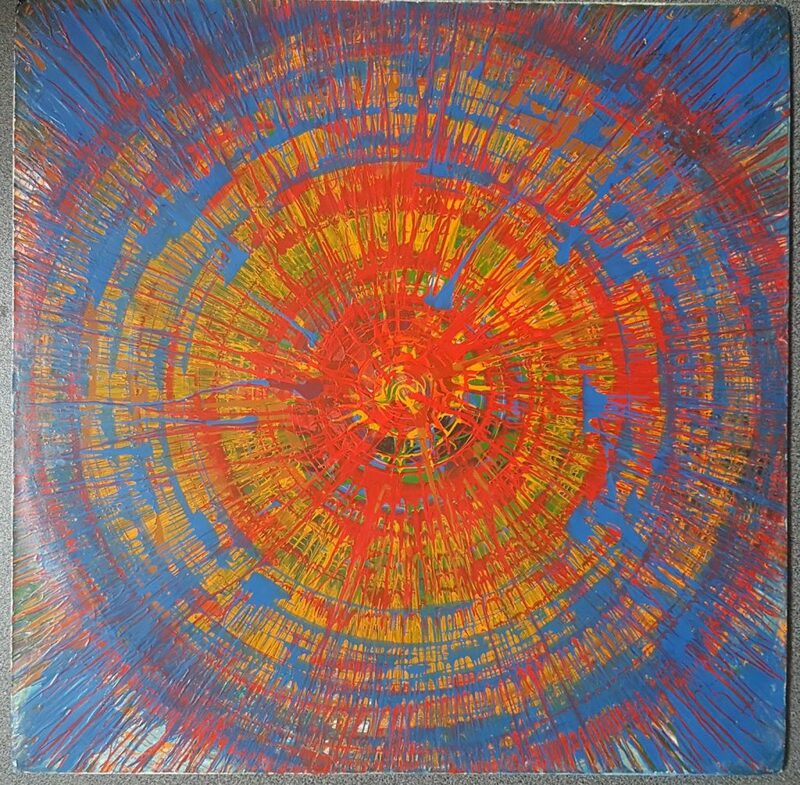 On German Ebay I could find a near mint copy from Troya – ‘Point Of Eruption’ for 3 euros. In fact I did many interesting purchases without paying mind boggling prices. Germans rarest Tyburn Tall I paid an equivalent of 101 euros thanks of a complicated triple-trade in between 3 music friends/collectors. You have a rather extensive collection of ‘Underground Music’. From ‘Krautrock’, Psychedelic Rock to Avantgarde. Can you describe what do you like to collect the most? In fact everything which sounds good to my ears is collectable. Most complete is my German ‘Krautrock’ collection. It goes from the electronic Berliner School and connects experimental things to the more psychedelic/progressive rock music with that typical raw German accent. I don’t want to say that everything that came out from Germany is OK, as yes, I possess some straight German amateurish rock obscurities of which I’ve also have my musical doubts and which I only bought to complete the collection. Second I prefer the Italian discography. Those progressive bands from Italy sound musically the best to my ears. In fact I like most West/Northern and South-European psychedelic/progressive rock music from the late sixties to early eighties. I possess also a certain amount of South-American records and from Japan. Folk albums could be also interesting as far that there’s a psychedelic influence inside. Some folk albums (especially from the UK) are often described as psychedelic while in fact it’s truly traditional folk where psychedelic influences are only created by wrong interpretations. Music from Africa which is lately bombed to super status… I can’t agree with it. Most of them are closer to Afro Funk than to rock. I possess a few of such items, but it couldn’t hit my interest. My interest is widely spread to other styles on the edge from prog/psych music with references to minimal, raga, RIO, acid folk, electro acoustic, etc…Such composers as Igor Wakhevitch I also rate on the highest level. US/Canadian/Down under are for me less interesting. Even if I possess a certain quantity of US rarities in my collection. You also own several acetates.Would you like to tell us how did you get those and what kind of music is on them? In total I’ve had 9 acetates, but 2 of them I gave away in a trade. The unissued acetates from Elyse Weinberg – ‘Purple Dream’ and Real Heavy Man on Deroy which is pictured in Pokora 7001 left my collection. The first acetate in my collection I’ve found in a local secondhand store inside my city Louvain. It’s an acetate from the French progressive band Alice – ‘All Ice’ (English version from ‘Arretez Le Monde’). Inside the blank cover includes an unique black & white poster with a group shot from the band. All other acetates I found on Ebay for bargain prices. Two of them are unissued such as Robert Hinchliffe – ‘Songs’ – gentle UK folk and Al Smith – ‘Clock works’ – West Coast styled rock with groovy electronics. Two other acetates from the US bands Catherine’s Horse and Rock Shop are pré-recordings from ultra rare very limited private releases.They’re late sixties garage rock with bluesy and psychedelic influences. I possess also another French acetate from a rare sixties album by Barney Wilen – ‘Zodiac’ which is a very jazzy experimental effort from 1966. Do you own anything else which is widely unheard by others? I think I possess several records which are unheard by a lot of people cause they’re still not re-issued or no sound files exist on YouTube or other sites. Especially the acetate from Al Smith – ‘Clock Works’ is impossible to listen somewhere. Difficult to make a summary from all those albums which are unheard and widely unknown in my collection. Maybe here are a few examples : Peter Sjardin – ‘Changes’, Krohn & Micus – ‘Krohn & Micus’, Lindwurm – ‘Erinnerungen Am Klaus/Fruhjahr ‘76’, Portland -‘Rencontres’… I think that often even some of the biggest collectors never heard about one of those. As to rarity, what are your 5 rarest records? 2. Robert Hinchliffe – ‘Songs’ (UK 1970) Unissued acetate! 3. Al Smith – ‘Clock Works’ (US 1978) Unissued acetate! 4. Exmagma – ‘Goldball’ (Germany 1974) Unofficial German issue on Neusi! How about gracing us with a trip down memory lane and describing a day of record shopping back in the days? Where did you got all the information about particular records? Well it must be nearly 25 years ago at minimum. Those days I was going out for record shopping in second hand stores. Mostly it was a complete day I spent visiting all those great record shops in Brussels. Mostly I was visiting several times a week to be sure that I didn’t miss something. There was one particular shop, known by most collectors, which had each time a large stock with new arrivals. Original pressings from bands such as Apple, Skryvania, Siddhartha, Nosferatu, Eduardo Bort, Ton Vlasman, etc… were regular finds there. Finally too much dealers were visiting this shop and in the early nineties it was completely ‘plucked-out’. Often I was talking with the owners of those secondhand shops and some of them had a great knowledge on rare and good music. Often I bought those records by following their advices. I was never such a good reader of music books, but I had several excellent music friends and that way I could update my knowledge of music. Do you have records you can’t have enough of, even after you’ve heard them a thousand times before. No, not particularly. There are so many excellent records to listen… Maybe with one exception. Magma – ‘Udu Wudu’. That record I played many years for a few times a day as it was for me the absolute top, but today it’s really surpassed by many other albums. Maybe I really played it too much! Are there 10, what you might call ‘Essential albums’ to own? How about books, any written material you might suggest as a good read? As I already told before I don’t read many books. Most of my knowledge is coming from the short record descriptions from dealer catalogues or via conversations with many of my music friends. Today I’m using Google to find out ‘exact’ information about particular records and to make myself a clear point of view what could be ‘fake’ or ‘exact’ information. Personally I only possess 7 Pokora books. Of course I also use a lot of information which you can find at Psychedelic Baby Magazine. Those information are often coming from the right source and are guaranteed for 99% correct. Sometimes I also surf to ProgNotFrog blog/website which can guarantee me reliable information. 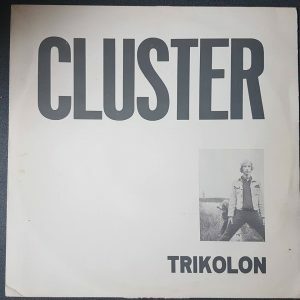 What are the rarest ‘Krautrock’ records you own? Show us some oddities. I possess many rare German items. 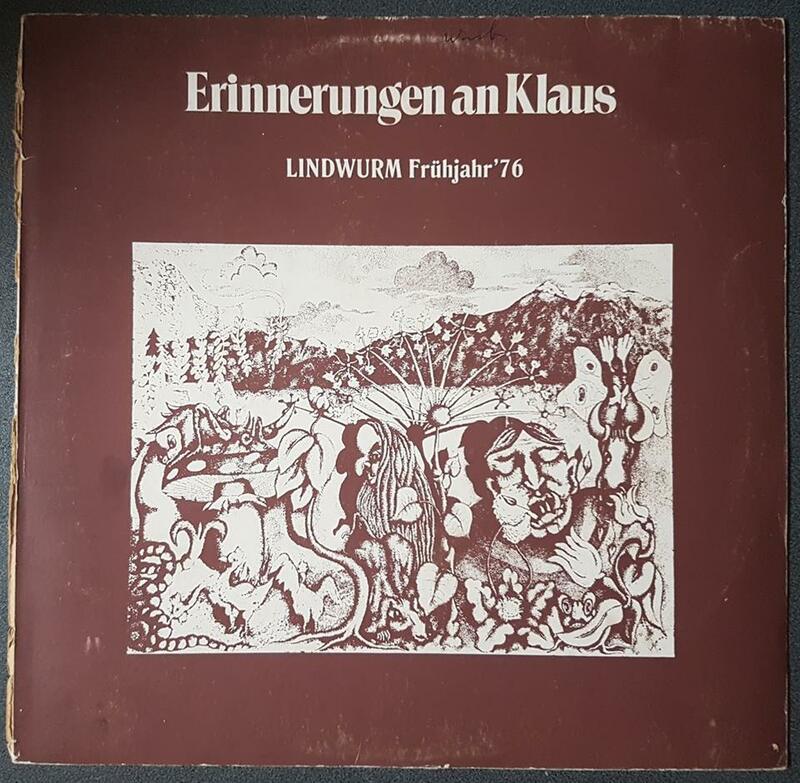 The most valuable in price is certainly Tyburn Tall, but there are some others which are certainly more limited and harder to find such as Lindwurm – ‘Erinnerungen Am Klaus’, Krohn & Micus, Trikolon of which each of those were only pressed on around hundred copies. Maybe the rarest and most obscure item in my ‘Krautrock’ collection is the German issue on the Neusi label from Exmagma’s ‘Goldball’. 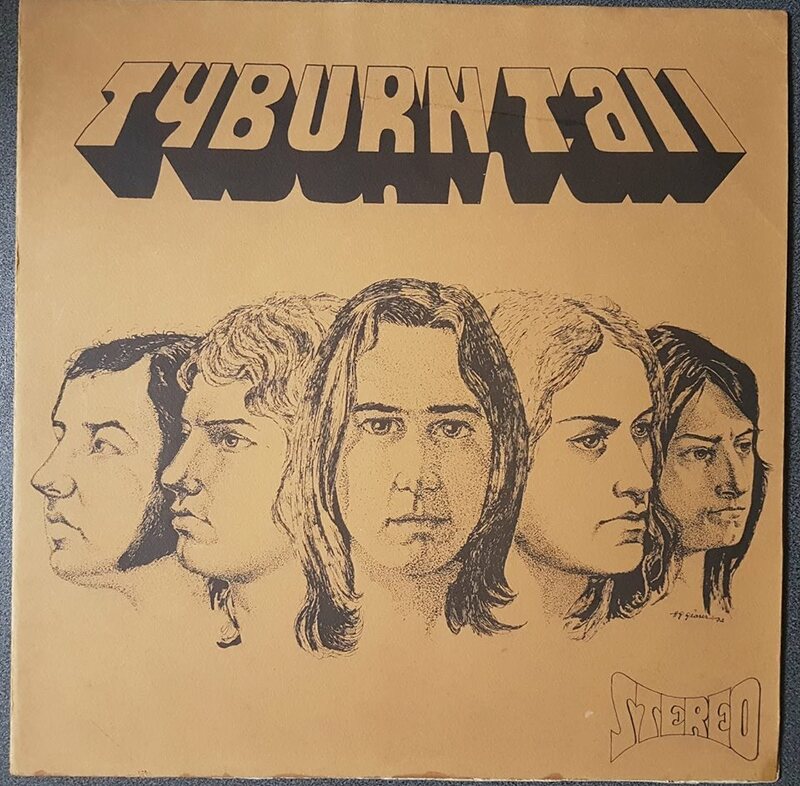 This German issue became never authorised by the band and got an official first issue on the French Disjuncta/Urus label. It’s impossible to speculate where this Neusi issue comes from. It’s for sure an unofficial issue even if it has the official GEMA emblem and machine stamped matrix codes. I saw only two copies in my whole life from that one and both copies had that typical dusty outlook from old copies moulded a few decades ago. Yes,you've right Anonymous.The records I showed here are only the most obscure and collectible records.Of course I've many favourites by the wellknown bands too such as Magma - 'Udu Wudu',Uriah Heep - 'Look At Yourself',Van Der Graaf Generator - 'Pawn Hearts',Hawkwind - 'Choose Your Masques',King Crimson - 'Red' and many more...I only would like to separate those famous bands with those collectable top items.